We had our first snow of 2011. 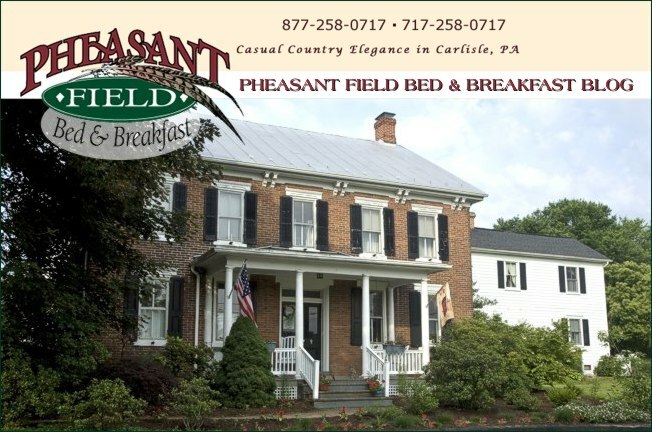 It's just beautiful here at Pheasant Field Bed & Breakfast with the blanket of white stuff! We have a group of scrap bookers here this weekend. They enjoy looking out at the fresh snow while they remember their summer trips! It's may be cold outside, but inside this old house, there are lots of warm memories of fun times! Tomorrow, I will be heading south to attend the Professional Association of Innkeepers International annual B&B Conference. While Chuck "holds down the fort" here in Carlisle, I'll be reconnecting with other innkeepers from around the US and learning how to serve our guests even better! I'll send out some tweets or blog posts from Charleston, SC next week. Remember that you have a special opportunity to enjoy two nights for the price of one - only in January - with our "Cabin Fever" Special. Check availability now to plan your winter getaway.